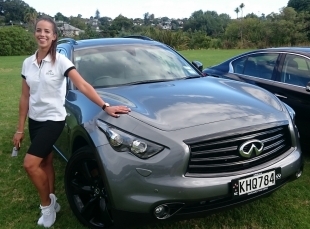 Infiniti has recently brought their amazing luxury car range to NZ, and are wanting to give people an Infiniti experience they won’t forget. Engage staff were given an in-depth briefing on all the unique and cool specs of the Infiniti fleet, before taking them out for a spin. After familiarizing themselves with the car, staff play corporate cab driver, and pick up and drop off various people at prestigious events in Auckland. Our superb staff got the chance to talk about the features of the fleet while the punter gets to enjoy their ride. All staff that have full licences and the gift of the gab to pass on the sweet specs of the cars.